Generally, different types of openers can proffer different types of problems. In most cases though, there are a number of ways to troubleshoot your unit in order to find out exactly where the problem lies. The first thing to figure out is whether the issue is coming from the garage door opener or the door itself. There is a simple test you can carry out in order to answer this question. With the door completely closed, pull the manual release cord. Next, try and open the door manually. If it opens smoothly without any restraint, more than likely the problem lies with the opener. 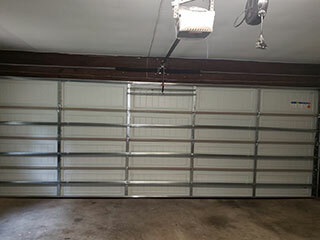 If the door is reluctant, scrubbing, or sticking, the issue may be with the garage door and not the opener. Some kind of disruption of power is a common cause of openers failing. If your unit isn't responding to the remote or wall buttons, check the motor of the unit to see if it is plugged in properly. If so, locate the circuit breaker in your home, usually outside, and also check the fuses. Another problem that can occur is when you hear the motor running, but the garage door has no movement whatsoever. This can be due to an internal or external drive gear failure. The gear could simply be worn out or completely damaged, in which case a replacement will probably be needed. If your opener is not responding at all, even the lights, try replacing the batteries of your remote control. Many people totally forget to do this simple step and after doing so, their opener operates just fine afterward. If the unit fails to respond to the remote after doing this, and the keypad also fails to trigger action, you'll likely need professional assistance in uncovering the problem. Our team is on hand to help you with any opener related issues you're struggling with - just get in touch to talk to our technicians at Sun City West!